Last week I wrote about an important referendum facing the United Kingdom this week (Explaining Brexit), important for both the United Kingdom and for the European Union. Supporters of a Brexit (Britain exiting the EU) are convinced that leaving would improve Britain’s sovereignty and economy (at least in the long run). In my opinion, which does not necessarily reflect the views of Washington Trust Bank, the UK will be negatively affected and I believe recent EU history should be a guide. As I mentioned in my blog, the EU was formed as a coalition to help the free economies of post-World War II Europe. 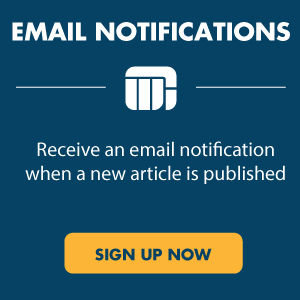 The latest major advancement came out of the Maastricht Treaty of 1992. The objective was to create free movement of people, goods, services, and capital. Europe sensed an economic disadvantage against the US and wanted to create a trade block that could compete more effectively. By eliminating the barriers to trade, the EU felt it would become more like the US, allowing trade to flow freely between the states. The numbers make a compelling argument. Currently the US has a population of about 325 million people and a GDP of about $18 trillion. The EU has a combined population of 500 million people and a GDP of $19 trillion. At the time of the Maastricht Treaty, three new countries joined the Union: Sweden, Austria, and Finland. In its referendum, Switzerland voted against the marriage. A major reason for turning down the EU was the free flow of people. Switzerland, like the UK today, worried about the loss of control of its borders. After the vote, the Swiss economy faltered. 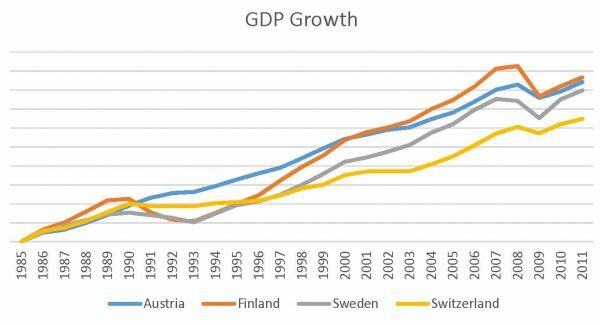 Before 1992, Switzerland was growing at a faster rate than the other countries, except for Austria. However, through 2012, Switzerland’s economy trailed all three. I don’t think this was coincidental and quite frankly, neither do the Swiss. For some time now, the Swiss have been trying to get in to the EU. In fact, they have put into place all regulations, including the free flow of immigrants, that acceptance requires, hoping that they will be allowed in at the next opportunity. So, they have accepted the rules, but because they are not members they do not participate in the rule making. The UK elects Members of the European Parliament (MEP) to represent Britain’s interest at the EU. If they think the MEPs are not important, they should talk to France’s Charles de Gaulle (if he were alive) who kept them from joining during the 1960s. By withdrawing from the EU, they will no longer have representation and a voice in the government. Believing they can cut a deal after exiting, retaining unfettered access to its markets without accepting all the terms, is fool hardy. They need only look to Switzerland for reference. True, the British economy is much larger than Switzerland’s. The UK is the second largest economy (or third largest depending on whose numbers you prefer-but it is essentially the same size as France) in the EU with a GDP of €3.6 bil. versus Germany with a GDP of €3.0 bil. Given its size, they may feel they can extort a better deal, but I think the EU would be hard pressed to agree to terms with the UK something that they are unwilling to give to the Swiss. In addition, granting the UK preferential treatment would only give others incentive to leave, thereby further weakening the Union. Unfortunately, in the end, emotions may drive the vote. I fear a vote for withdrawal may create the same results that the Swiss have faced. I hope the British do not regret their decision as the Swiss do now.